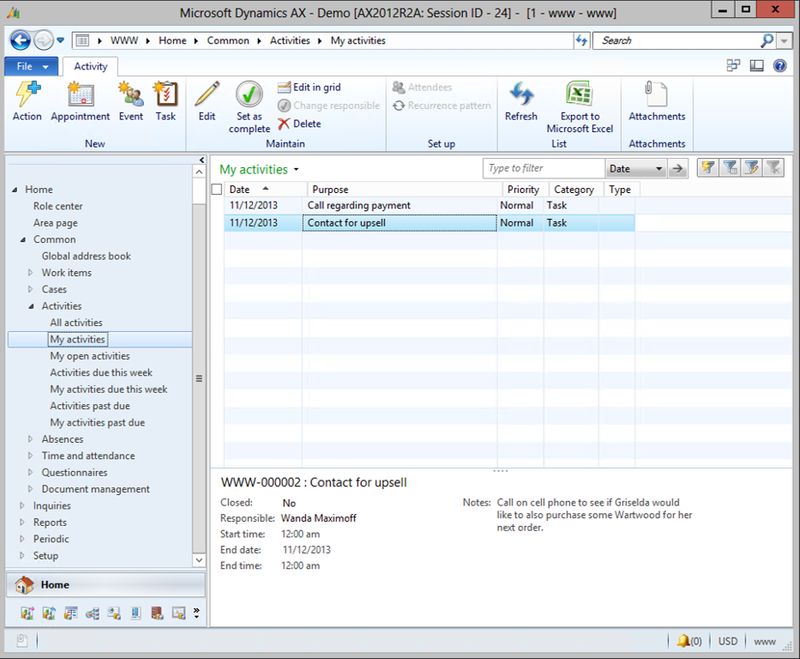 You don’t have to have all of the CRM functions enabled within Dynamics AX in order to take advantage of some of the features that it offers. You can use features like Activities without any additional setup, which allows you to create appointments, notes, and also tasks. These activities don’t even have to be for you either. If you want to send someone a gentle reminder, then you can create a task, and assign it to anyone in the organization. The task will then show up on their activity list, and also pop up as a reminder in Outlook (if you have the synchronization enabled). 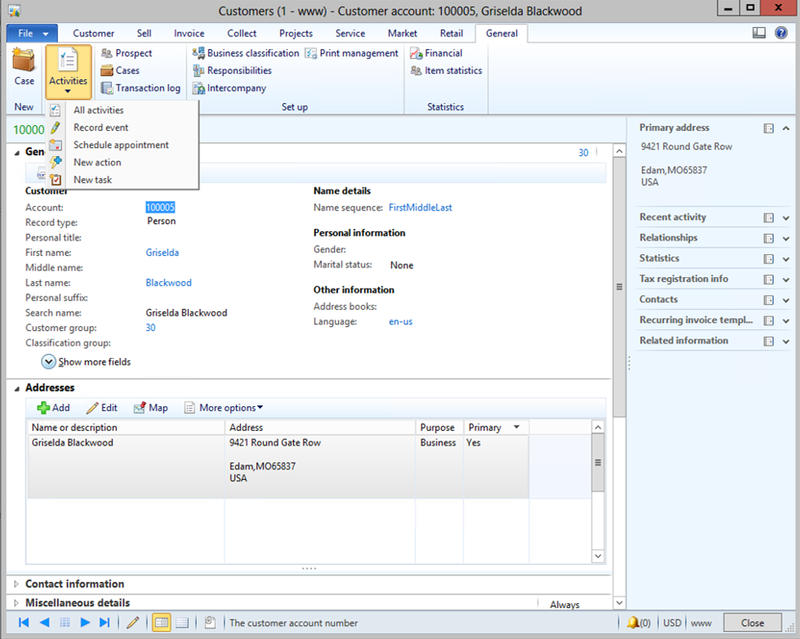 You will usually find the Activities menu button on the General ribbon bar of most of the key record maintenance forms. If you expand the menu you will see all of the different types of Activities that you can track. To create a task, just click on the New task menu item. 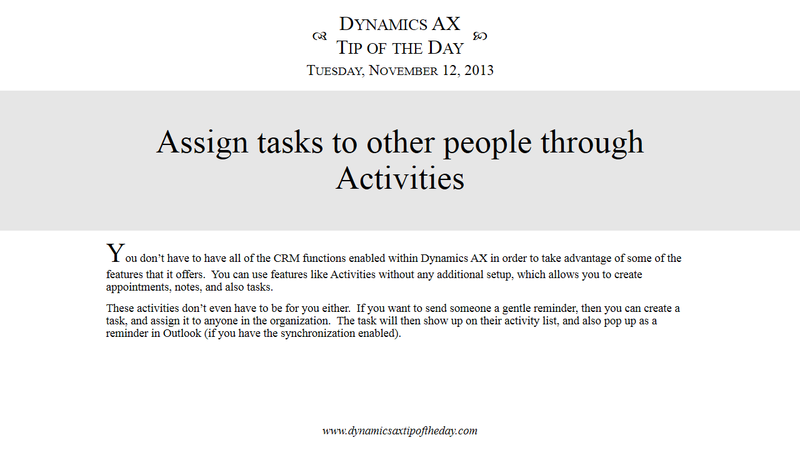 You can give your task a Purpose, a Description, and assign it to a another user by changing the Responsible field. When the user logs in, they will see that the task has been assigned to them through their work list, and in their Activities if they have created a Cue for their assigned tasks. 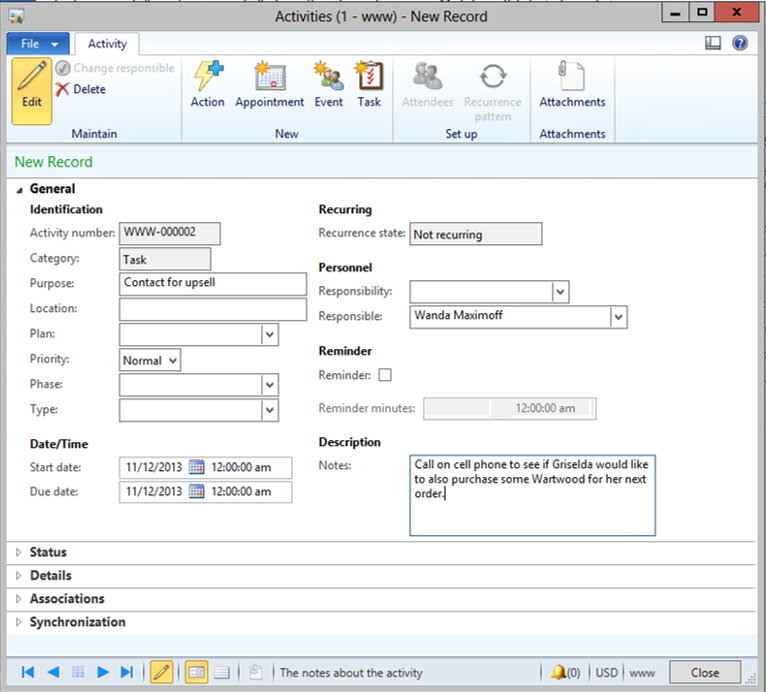 If the user wants to see all the information about the task, then the activity detail may be accessed directly from the Work list action menu. Also, the users are able to see all of the tasks that they have been assigned by opening up the My Activities for from the Activities folder of the Common group of the Home area page.